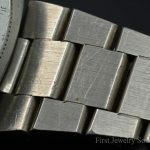 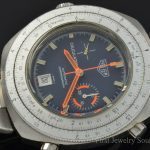 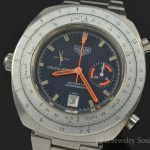 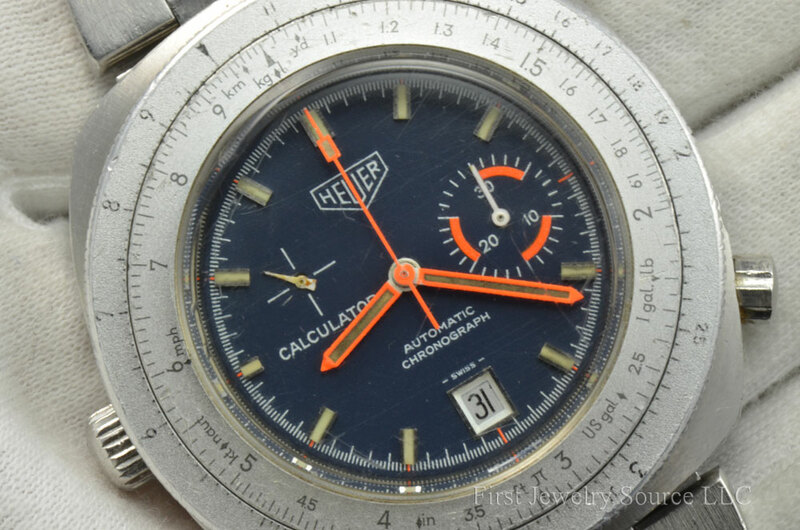 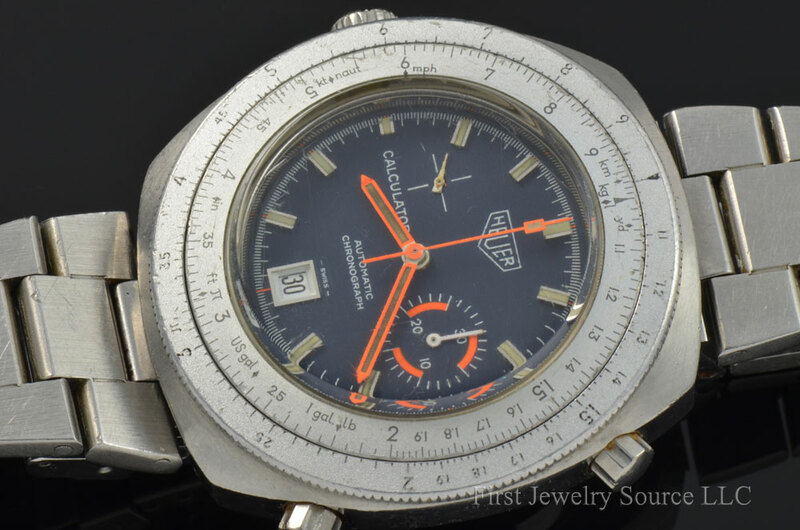 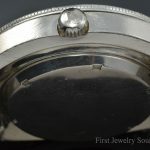 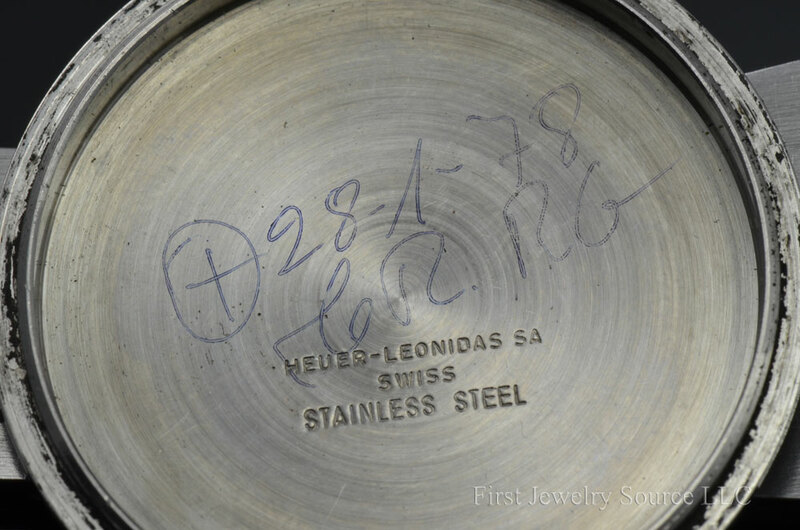 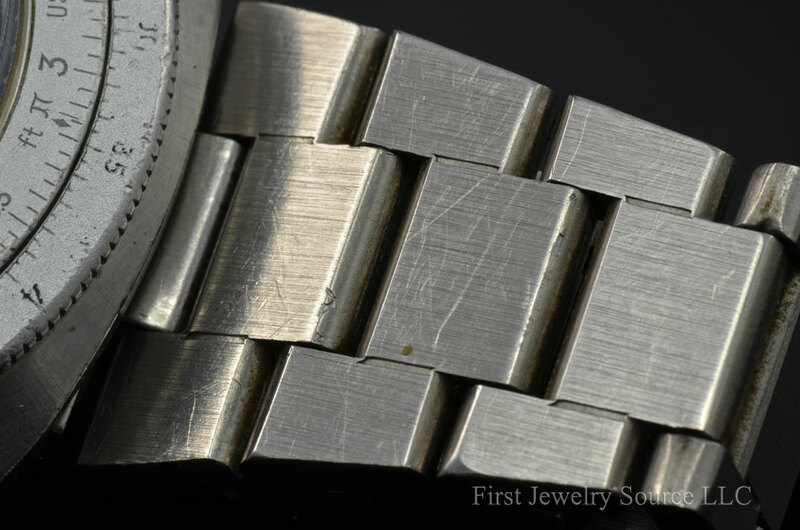 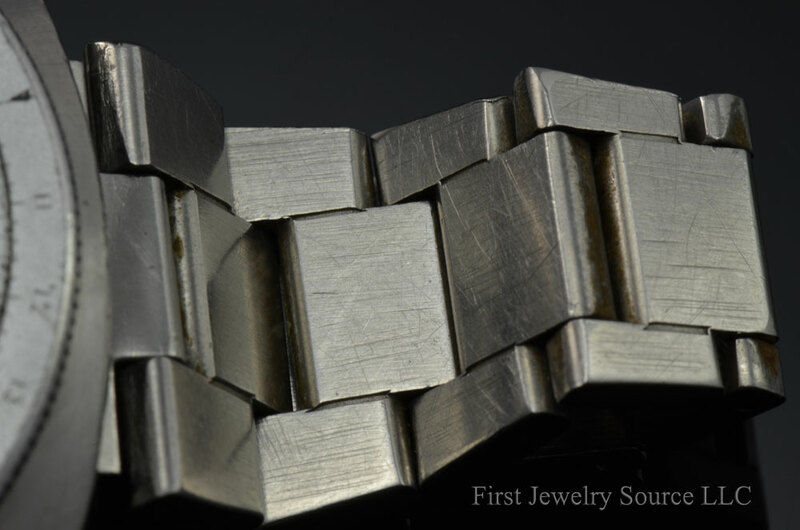 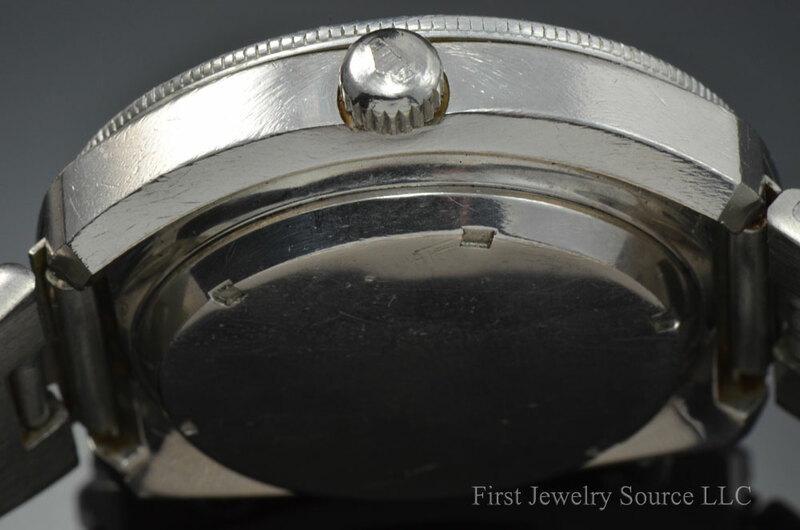 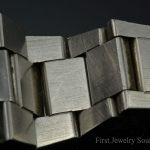 Rare Vintage Heuer Calculator Tool-watch! 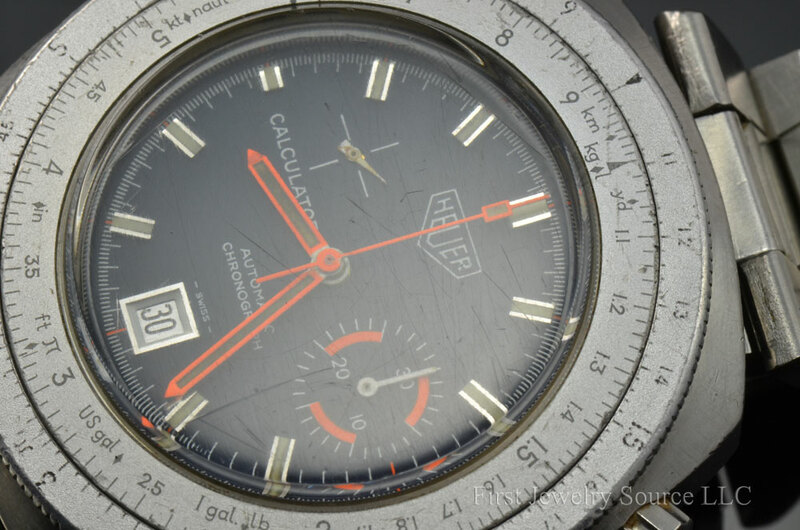 There were a few Calculator references made over the model’s rather short lifespan. 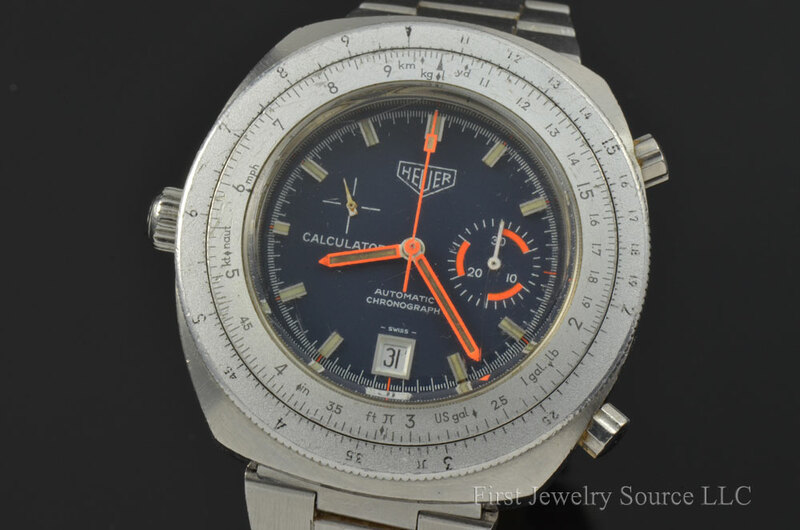 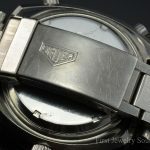 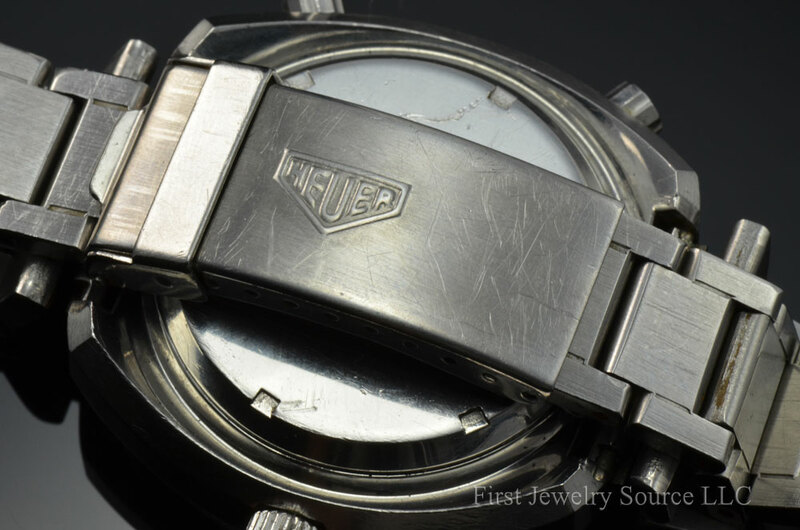 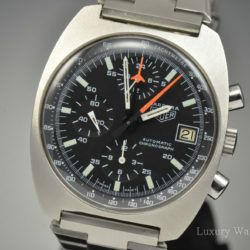 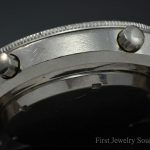 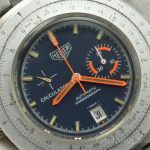 What makes this watch unique is its dial layout, with the model name moved from its usual spot under the Heuer logo to the 9 o’clock position. 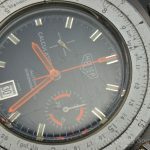 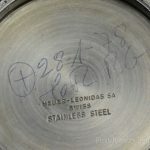 While some Calculators came equipped with a 12-hour register, this example came with only a running seconds slightly offset at 10 o’clock and a 30-minute totalizer. 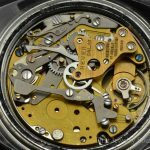 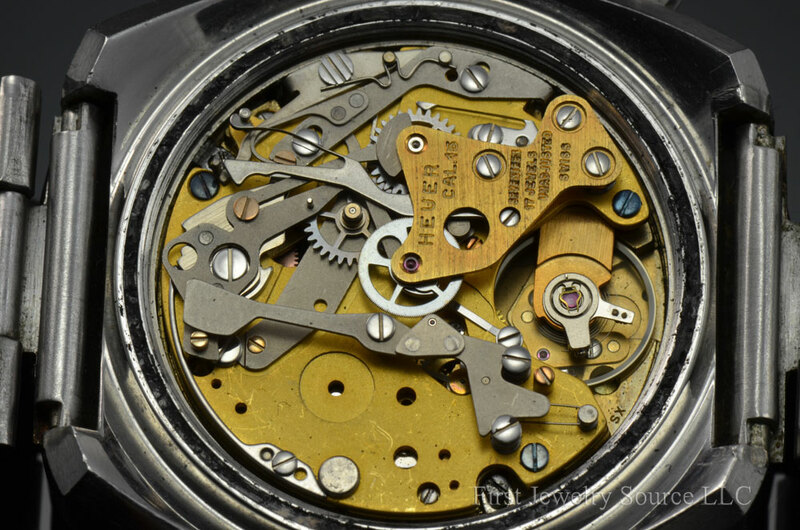 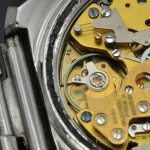 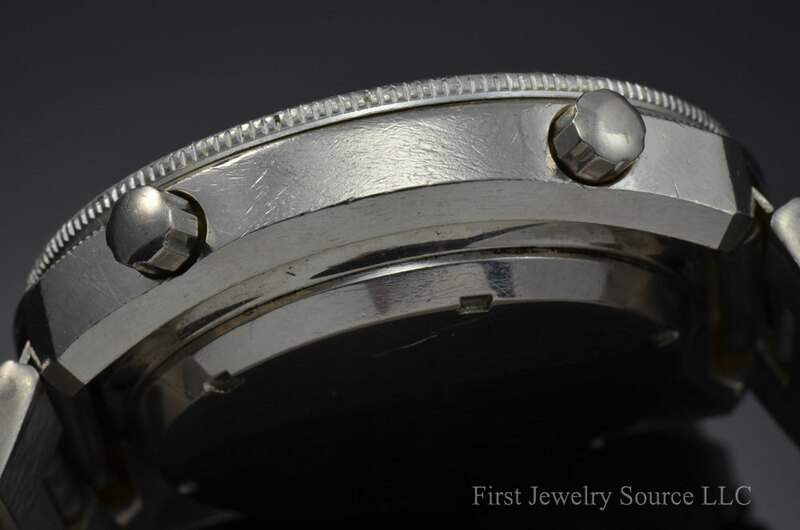 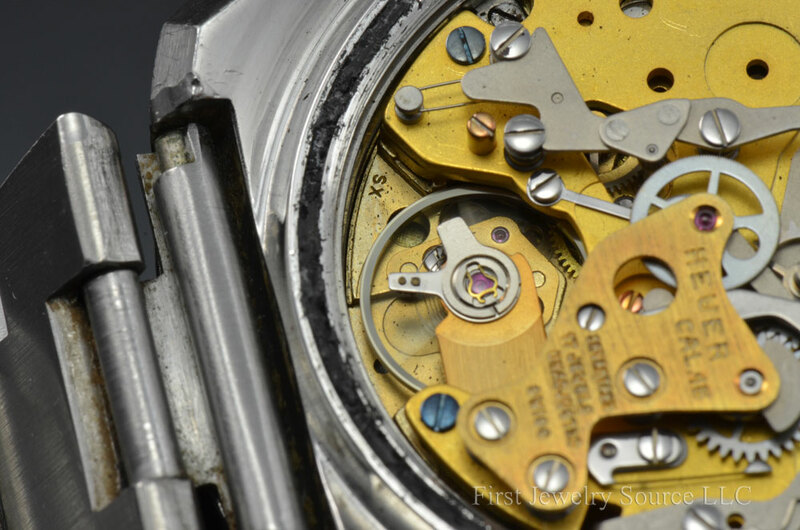 Under the hood is a Caliber 15, a second generation descendant of the Caliber 11, Heuer’s (and arguably the world’s) first automatic chronograph movement, recognizable by the left-hand crown placement.